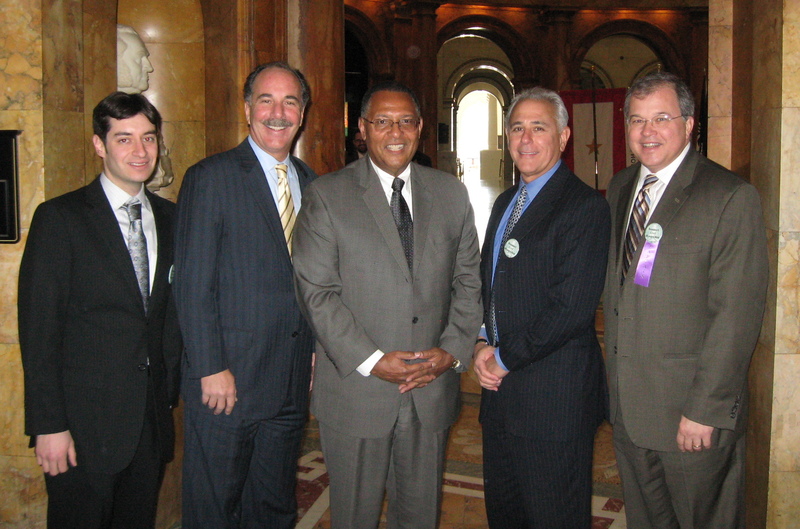 The lawyers of Breakstone, White & Gluck lobbied their state legislators on Beacon Hill today in support of increased funding for civil legal aid as part of the annual Walk to the Hill 2014. The event, sponsored by the Equal Justice Coalition, draws lawyers from across the Commonwealth for a day of lobbying for the Massachusetts Legal Assistance Corporation, which provides legal aid for the poor and underserved. “The amount of funding for civil legal aid has suffered a decline in the last ten years; some sources of funding have dried up, costs have increased, and the legislature has been slow to fill the gap. We are asking our legislators to increase funding from $13 million in the last fiscal year to $17 million this year,” said David White. Governor Patrick has recommended only $14 million in his budget request.